The Noida police today claimed that a complaint lodged by a Kenyan woman, that she had been pulled out of a cab and assaulted in Greater Noida, had been found to be false. The Kenyan national was not assaulted and the report lodged that a Nigerian woman attack was false, Noida Senior Superintendent of Police (SSP) Dharmendra Yadav told a press conference here. Police officials produced Pintu, driver of the cab in which the lady had travelled to corroborate their version. The cab driver said that he had dropped the Kenyan national at sector Omicron in Greater Noida and had witnessed no such attack. At the press conference today, the Noida SSP claimed that there were no injury marks to support the woman’s version either. A Police Control Room (PCR) van stood just a few meters from the location of the alleged assault, yet no one saw any attack taking place, the senior police officer said. The woman had called a police chowki incharge whose number she had taken earlier in the morning and complained about the assault, the SSP said. He added that when the police personnel reached Ivory hospital, they were told that doctors were not treating her. The Kenyan national was then taken to the Kailash hospital from where too she was soon discharged, Yadav said. The SSP claimed that the lady may have been slapped by Nigerian friends and not local youths. A Kenya Embassy official too said the woman was under tension due to family problem and had fabricated the false assault story. African Students Welfare Association president Charles said, “The Kenyan national had given a false statement. It has been proved. Police has been providing security to us”. The Kenyan national had earlier in her complaint said that she was travelling in an Ola cab when unknown persons stopped the vehicle, pulled her out and thrashed her. 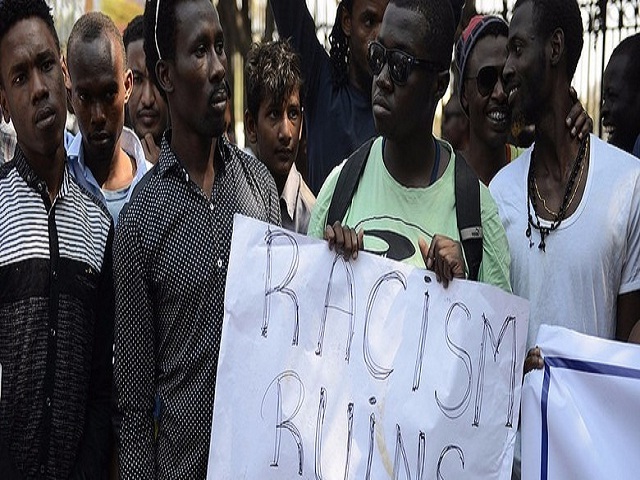 The allegation came close on the heels attack on African students and the police had promptly registered an FIR on the complaint.